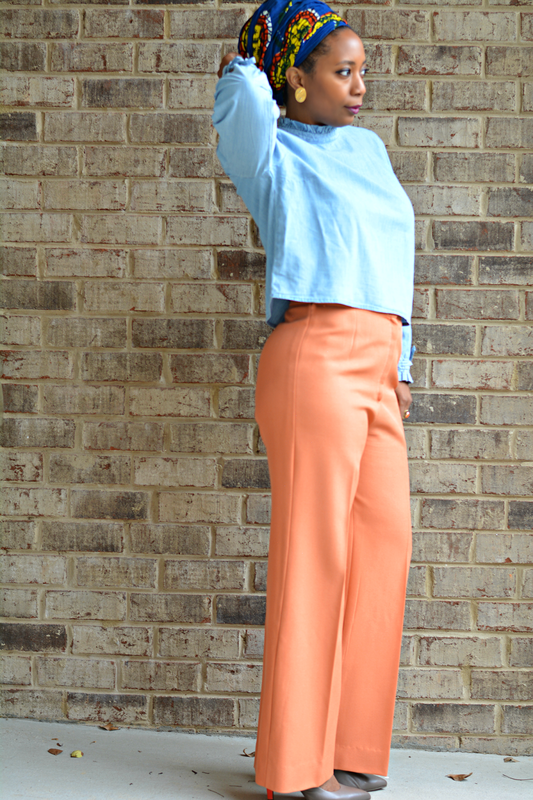 My guess is that a lot of folks took a pass on orange polyester bell bottom vintage pants. When I spotted the pumpkin spice latte color at the thrift, I knew they were right for me. They were super long and missing the hem but I took a chance on them anyway. It only took me a couple of months to cut them down to my leg length. Now they are fabulous. These pants have likely seen four decades just like me. Just because they're older, doesn't mean they don't have more life to live. Just. like. Me. I am quite fond of wearing vintage. I love the quality even on the polyester clothes. 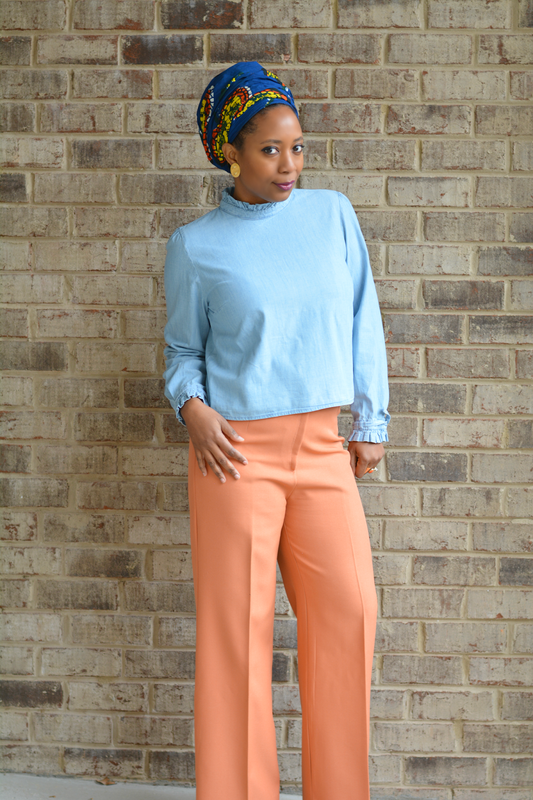 These pants have been holding the crease and color for forty years! I paired them with a chambray shirt I recently purchased in Miami and the grey / coral pumps I seem to unearth every few months. The outfit came out a little bit more eccentric than I envisioned but I can dig it. What's a vintage discussion without a vintage colloquialism? 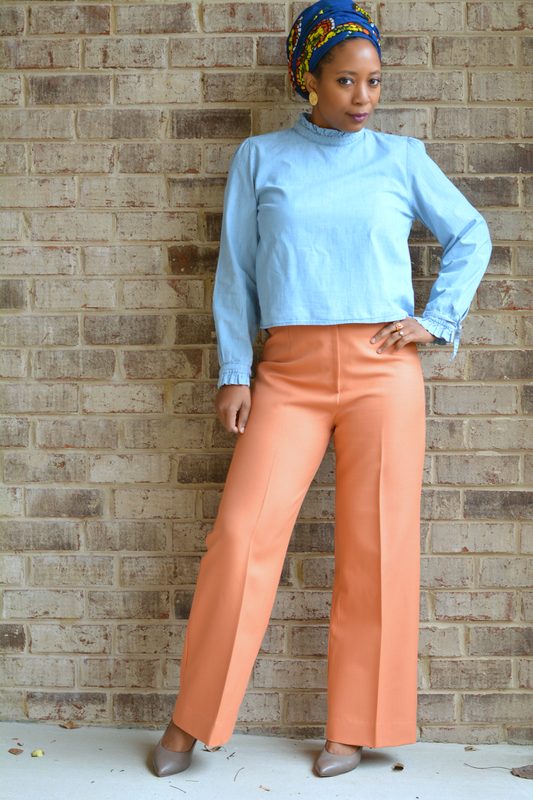 Orange wide legged pants may not be everyone's cup of tea but I assure you everyone can and should add old clothes to your wardrobe. Style is not necessarily about the latest trends. It's about feeling good in whatever you choose to wear. Wear flattering shapes. Find what works for your body and go with that. 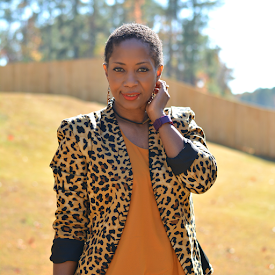 The shapes and styles that flatter you will still look great even if they're old. If you look amazing in pencil skirts, a classic one from the 50s will look just as good. High waist works for me so I continue to buy waistbands that cover my belly button. Mix up the decades. It can start to look a bit costume like if you wear everything from a certain era. 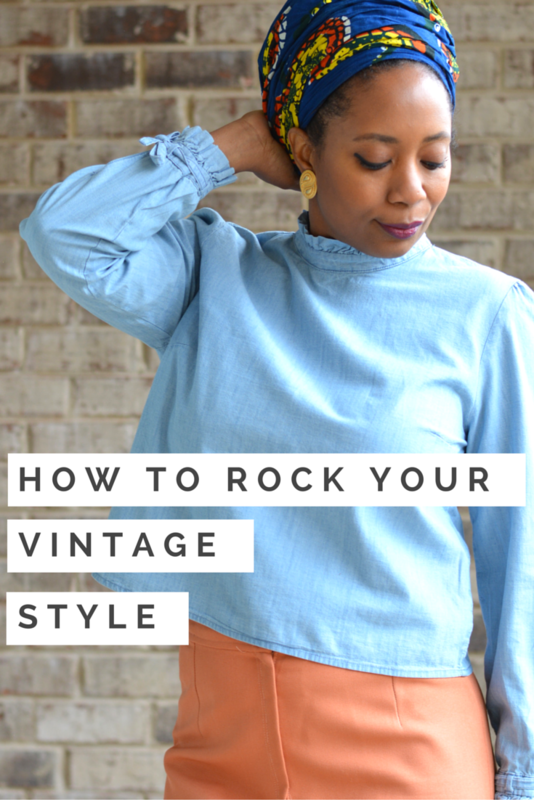 Pick different decades if you're going to wear vintage from head to toe. There are a lot of ways to break it up so that you don't look like you're straight out of a particular time period. 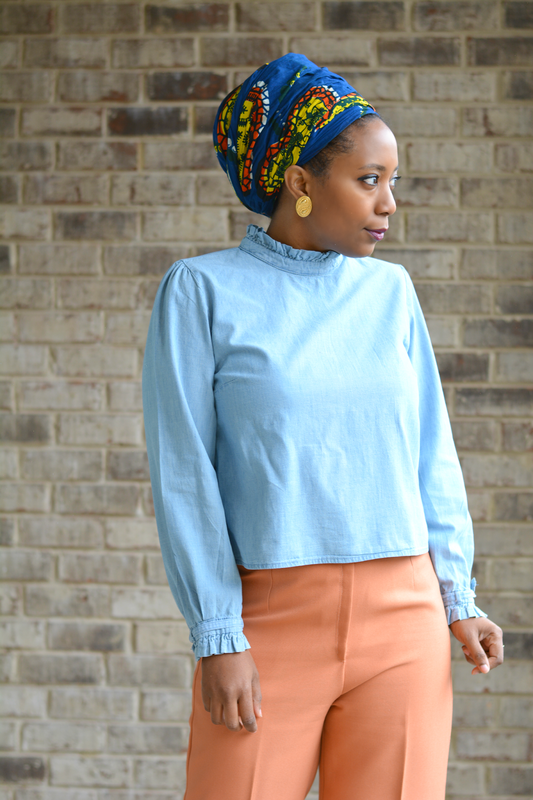 For example, wear vintage on top and current trend on bottom. My outfit is vintage on bottom (awesome 70s orange pants) and vintage earrings (80s costume jewelry). Current trends for everything else. Wear your confidence. For most outfits, confidence is your best accessory. Confidence makes your outfit pop. Shoulders back, a big smile, and fierce walk will brighten up every look. You'll look fabulous in whatever you wear. How do you feel about wearing vintage?